Peak performers see the destination quickly. When entering the situation in which they excel, they quickly see the potential picture of success. 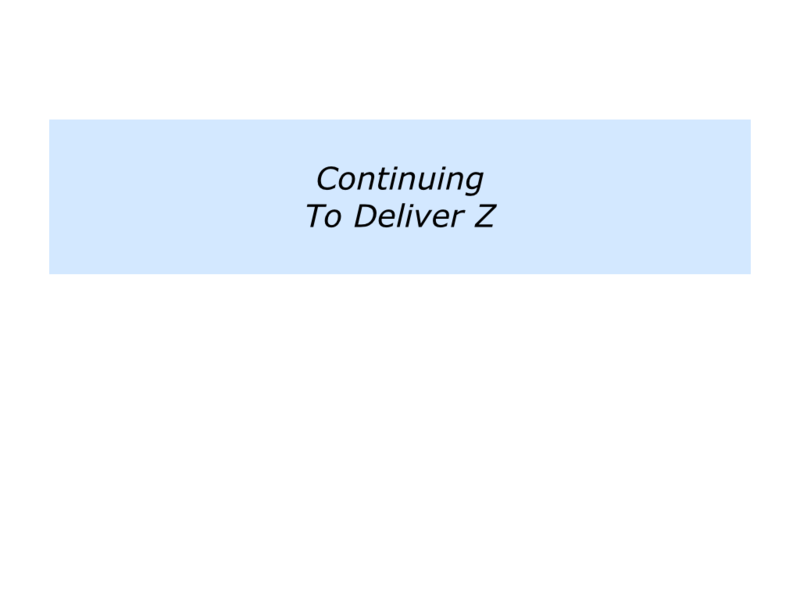 They go ‘A, B … and then leap to … Z’. The architect walks onto a site and visualises the finished house. The footballer sees the defence-splitting pass that will create a goal. The counsellor greets the troubled child and knows how they want the child to be feeling after their conversation. Let’s explore where you have this ability to see the destination quickly. “I love retail. Put me in any shop anywhere in the world and I will show how it can improve profits. My wife thinks I am crazy because on Sundays I want to take her shopping. Where does this happen for you? Depending on your natural talent, you may quickly see the destination when fixing a car engine, solving a financial problem, designing a workshop or whatever. If you wish, try tackling the exercise on this theme. This invites you to describe some of the specific situations where you see the destination quickly. “The sales person really listened to me. They found out what I wanted and offered me several options. The sales person will approach the customer, try several different strategies and see what works. They will then do whatever is required to ensure the customer is satisfied when they leave the shop. Every achiever has their individual approach to delivering Z. Some go through the following stages. They are fascinated by the subject and rehearse many potential scenarios. They have what Arie De Geus called a memory of the future. When preparing for a particular assignment, they practice until they can forget. Before entering the arena, they relax, re-centre and refocus. Going into the situation, they feel alive and alert. Using their antennae, they scan what is happening and look for patterns. Seeing the desired goal, they clarify their strategy. Putting their plan into action, they keep doing the right things in the right way until they reach their goal. Looking back at the times you have actually delivered Z, what did you do right then? You may have kept working hard, overcome setbacks and then reached the goal by adding that touch of class. Describe a specific situation when you delivered Z successfully. 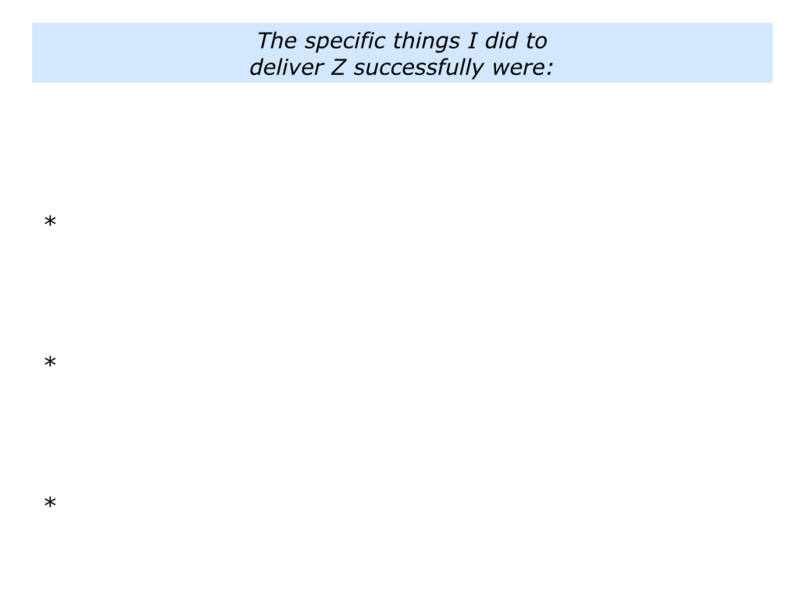 Describe the specific things you did right then to deliver Z successfully. 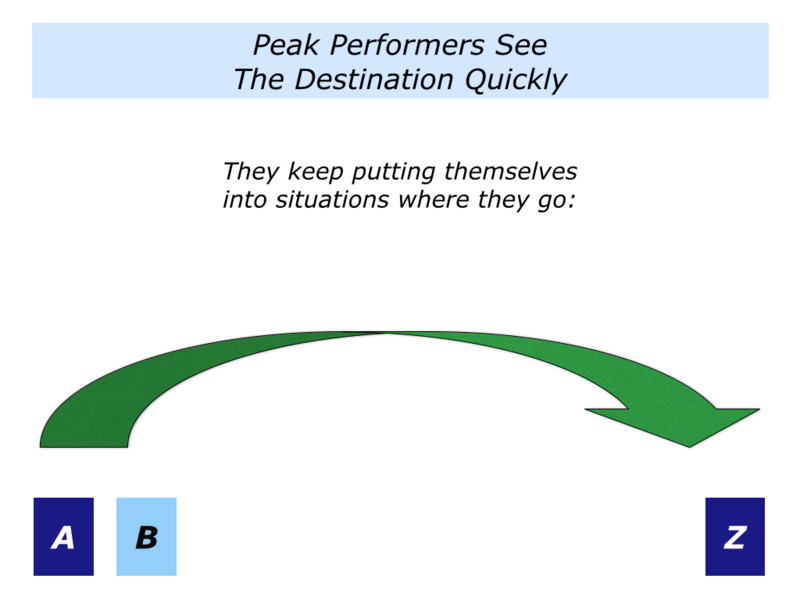 Peak performers have what is called personal radar. They see patterns quickly and seem to know what will happen before it happens. Radar is the starting point. But they also need a wide repertoire of skills to deliver the required results. You will have your own radar and repertoire for delivering the right results. 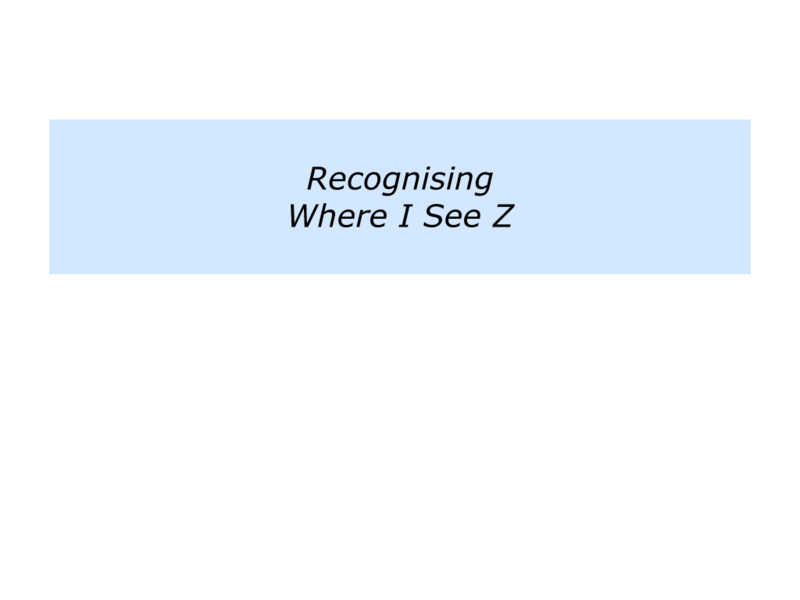 It will often be in the specific activity where you quickly see Z. Looking to the future, how can you keep putting yourself into those situations? This will create the platform for delivering peak performance. 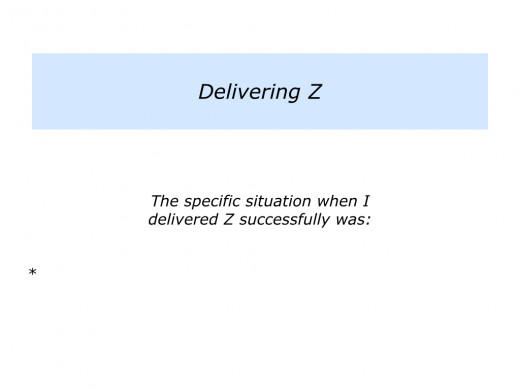 Describe the specific things you can do to keep putting yourself into situations where you deliver Z. 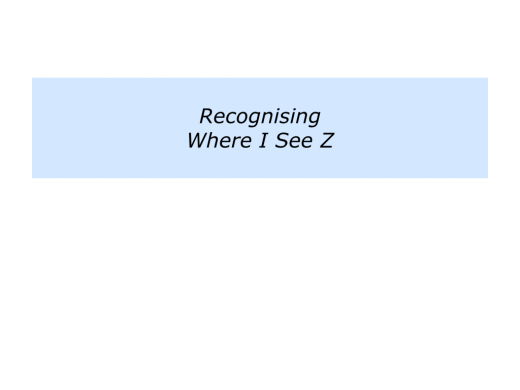 Describe the specific benefits of putting yourself into these situations and delivering Z.